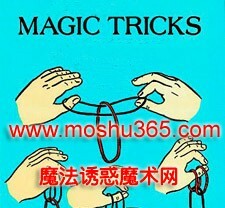 Introduction: two viewers checked completely ordinary rubber band, as long as the magician has a little magic, you can penetrate each other! 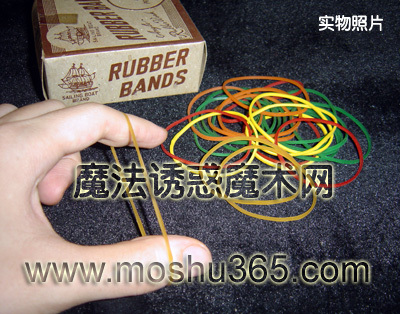 Magic can ask the audience more firmly fixed rubber band to participate in the 2-side, and then another rubber band and out! Stunned the audience when the magician mysteriously said that the reason why the two rubber band to penetrate the secret, in fact, because the rubber band can be disconnected at any time and then recover. Followed by a magician about to demonstrate to the audience to see - Magic gnaw rubber band, but under the, disconnect the rubber band once again link up! This is pure magic magic practices, the need for repeated practice. But its effect will be worth your practice.